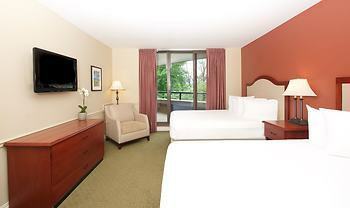 Hotel Mt Washington Conference Center, Baltimore, United States of America - Lowest Rate Guaranteed! Located in Baltimore, Mt Washington Conference Center is within a 15-minute drive of Baltimore Museum of Art and Maryland Zoo. This hotel is 4.2 mi (6.7 km) from Johns Hopkins University and 7.7 mi (12.4 km) from National Aquarium in Baltimore. The shuttle to/from town is an excellent addition. Walk and the option of a shuttle to the local restaurant- tavern- which was very good. Been staying here for YEARS. They renovated about 3 years ago and have been a "player" in the area for hotel accommodations. Bulk of their business is travelers that are in for various Johns Hopkins conferences (thus the name). The pricing is best for the area, proximity to the village of Mount Washington is walking distance and it is always clean, comfortable and with an acceptable continental breakfast in the morning....very nice gym, if you're so inclined. Hidden gem in Baltimore! Highly recommend. The staff is top notch and very pleasant. If you are attending a swim meet at the Meadowbrook Pool, this hotel is excellent for teams. You can walk to pool and there are game rooms and large conference areas for team meetings. Great value ! once again a great visit! Convenience of location; lovely & very helpful staff; continental breakfast items. Can't think of a thing ! Logos, brands, and other trademarks featured within this site are the property of their respective trademark holders. These trademark holders are not directly affiliated with Hotelsone. Aramark Conference Centers is a registered trademark.© 2001 - 2019 HotelsOne. All rights reserved.